Interested in learning more about our construction progress? Click here to see our latest photo galleries and our live time lapse feed. Trail Drive Management Corp. (TDMC) is currently hiring for a number of positions at Dickies Arena. Learn more about open positions here.  Dickies Arena will offer an unparalleled food and beverage experience with fun and unique options on the concourse and upscale and fine dining offerings in the South and North Clubs. 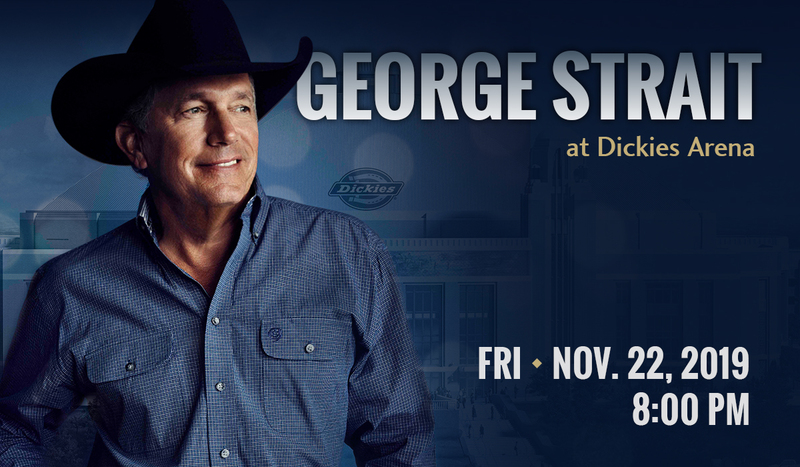 Dickies Arena offers a number of premium experiences, from suites and loge boxes to club seats and rodeo boxes. 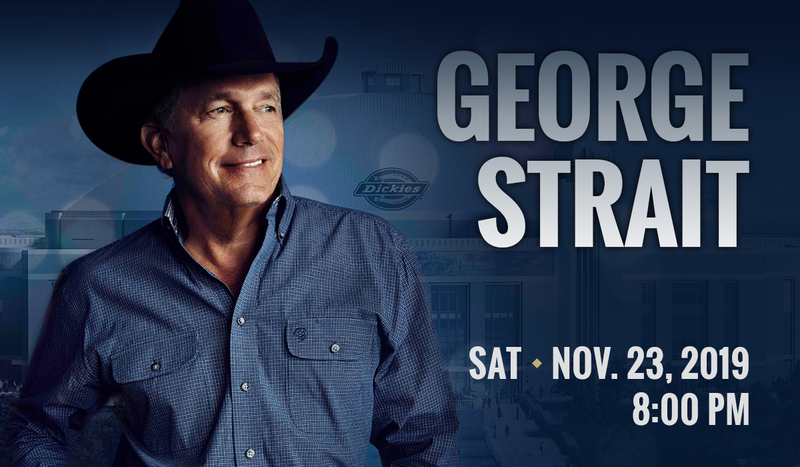 Country legend George Strait is set to play at Dickies Arena on Friday, Nov. 22, 2019. 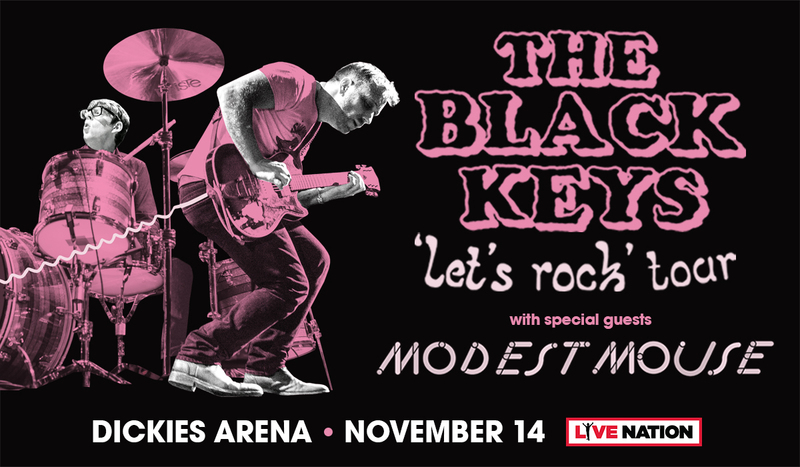 The performance, which is the first concert announced at the venue, will begin at 8 p.m.
On November 4, 2014, the citizens of Fort Worth overwhelmingly voted in favor of a new multipurpose arena for the community. 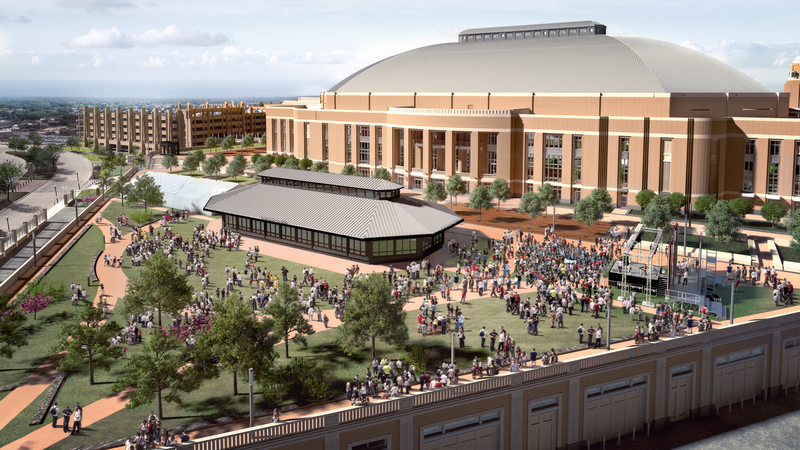 Dickies Arena, which is adjacent to the Will Rogers Memorial Center campus, will be an exciting, state-of-the-art venue for events of all kinds, including concerts, sporting events, family shows, community events and the Fort Worth Stock Show rodeo performances.